This year Paterson and Dowding has supported St Vincent De Paul Society. 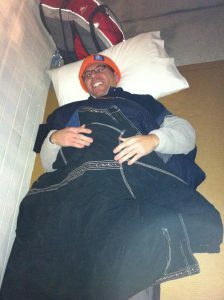 Eric Martino participated in the CEO Sleepout and raised $5,000.00. In addition various staff members took part in the street appeal and were more than happy to give up time to collect much needed funds for the homeless. For a number of years Paterson & Dowding has proudly sponsored two World Vision children. Each month we have a casual dress day and staff members make a donation, the proceeds of which are contributed to the children. If you are in our office on casual dress day and would like to make a donation, please feel free to do so.